This is delicious. Wow with corn some more lagi sedap. Good as a afternoon tea snacks ya. Makes me want to snack on them now. Delicious . wow fresh corn huh . yummy good idea my little monkey love corn I will fry this see he eat or not with prawn . 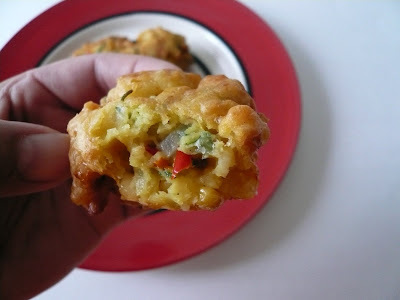 Corn fritters... Looks alot like cucur udang, kan Gert? Sedap dimakan with Maggi chili sauce. Ngam ngam. Gert, your fritters look delicious. I love shrimp. I think the chives in fritters will bring out the flavors. Gert,you very creative lor! !..Corn Fritter!! This is the first time I hear that.I buy 6 ears but throw away 3 ears.The rest of 3 still sitting in the fridge.Now I know what to do!!lol!! this is one og my fav fried snack, sedap!!! 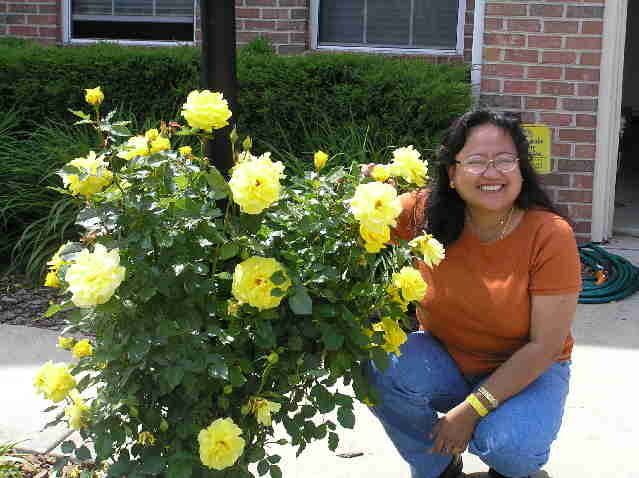 Sue, is good especially with sweet corn. 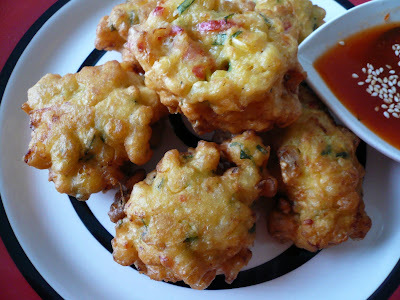 Envy, this batter is a bit like cucur udang and hope kids likes it. If no fresh chili taruk chili flakes. Pearly, hope your kids likes it.